Meh. I expected more from this wine. A 90% Tempranillo with 7% Garnacha and the remainder Graciano for perfume and colour, this is a Crianza version from a hillside at the village of San Vicente de La Sonsierra in Rioja, Spain. It has been aged for 18 months in French and American oak to earn the ‘Crianza’ title. This wine has a translucent ruby-garnet tone with perfectly even legs. The nose started off surprisingly neutral but eventually opened to show some boysenberry, field berry and cinnamon stick. The palate is dry with less than average acidity, alcohol and invisible tannin. The flavours are equally average and include sweet berry and clove with wood. The finish is non-existent. With its muddied flavours, absent aromas and unbalanced alcohol – this is merely a WSET Acceptable wine. Save your money – but if you have any at home, it’s suitable for spaghetti or as your second or third bottle at a party. This entry was posted in Graciano, Grenache / Garnacha, RED, Red, Spain, Tempranillo and tagged garnacha, Graciano, Lopez de Haro, rioja, spain, tempranillo. Bookmark the permalink. 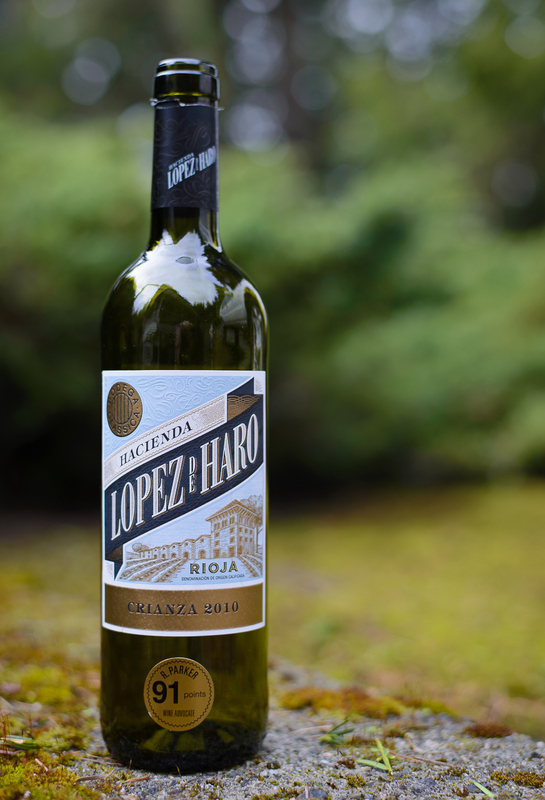 2 Responses to Lopez de Haro, Tempranillo, Crianza, Rioja DOC, Spain, 2010, 13.5% abv. I had a friend recommend this – but was sceptical.